The 6.5x25 CBJ Frangible has a full caliber projectile made of a polymer with metal powder added to increase density. The bullet has very low penetration and completely disintegrates when hitting a hard object, causing no ricochets. 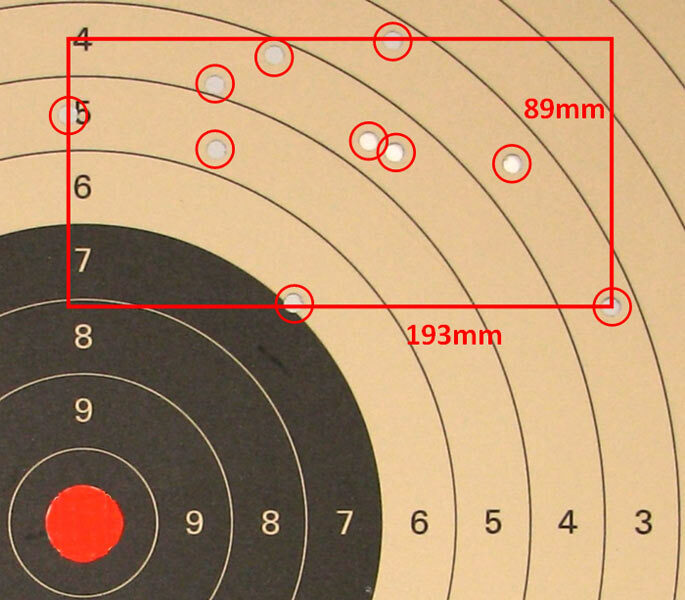 As a low cost training round for target shooting, it is effective out to 100m with good precision. 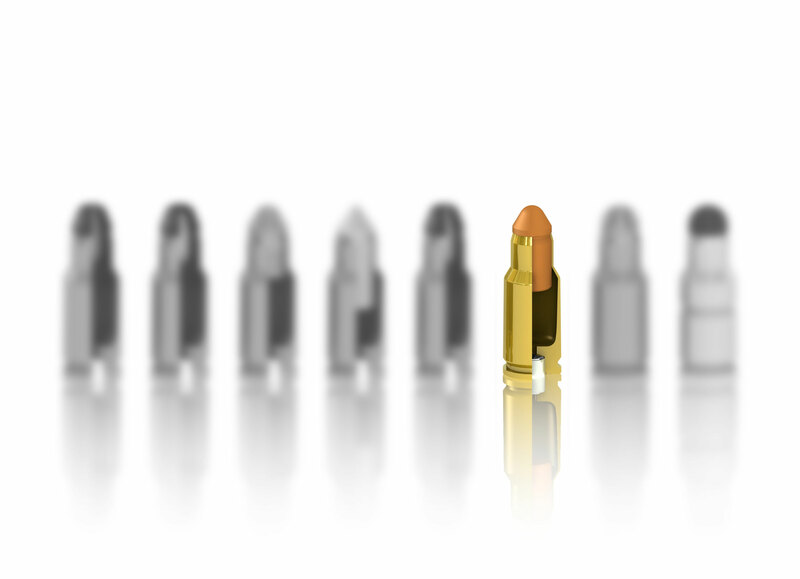 As a combat cartridge for use in very sensitive environments, it is highly effective against soft targets within 50m after which lethality quickly declines. Short range (up to 100m) training round, used primarily for target practicing and training in urban warfare facilities. One big advantage is that the frangible projectiles will not bounce off trees and change direction when training in wooded areas, which greatly increases safety and simplifies planning of training exercises. 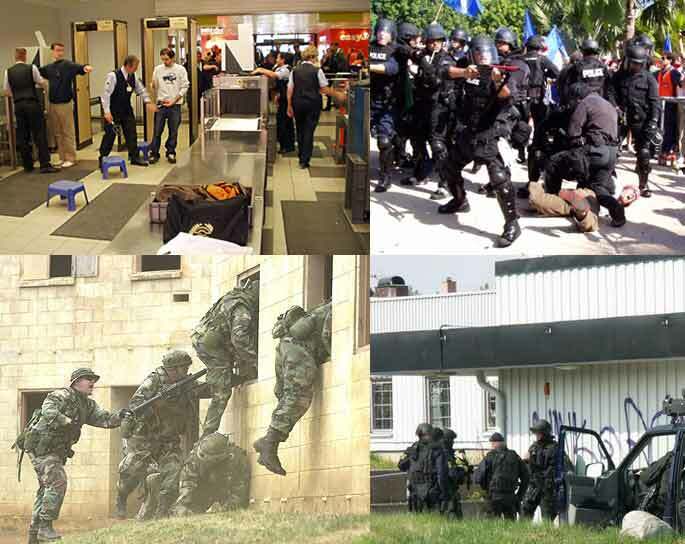 Very sensitive environments, such as public areas, nuclear power plants or operations inside buildings with high risk of friendly fire and with presence of innocent bystanders etc. Targets appear at short range and without protection and in most cases there is a need for instant incapacitation of the target. The 6.5x25 CBJ Frangible will disintegrate when striking hard objects, but will not fragment when passing clothes or soft tissue. This assures that the bullet will have sufficient penetration in soft tissue to be an effective combat cartridge against unprotected targets within combat ranges up to 50m. 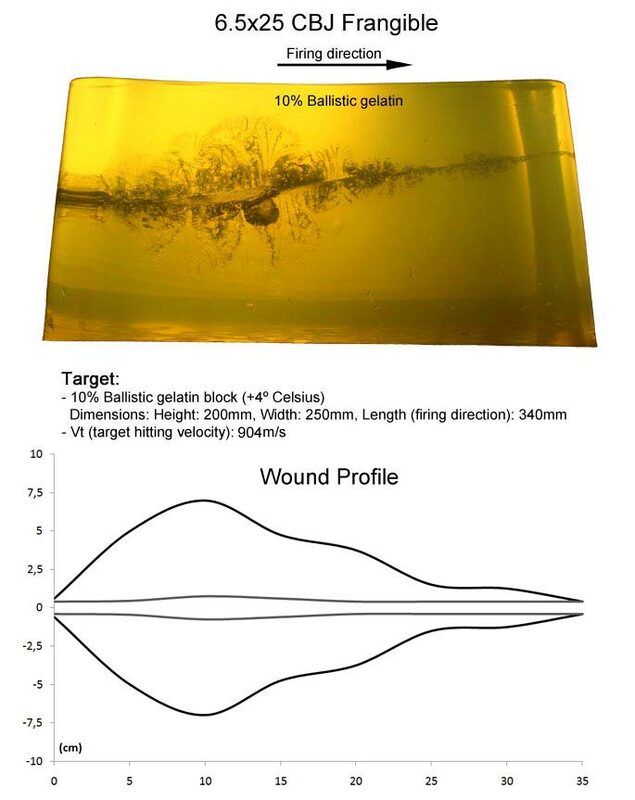 Shown below is the effect of the 6.5x25 CBJ Frangible in bare gelatin. Important to notice is that the bullet does not disintegrate or fragment in the gelatin. Below is the Wound Profile of the test, which visualizes the permanent and temporary cavities. 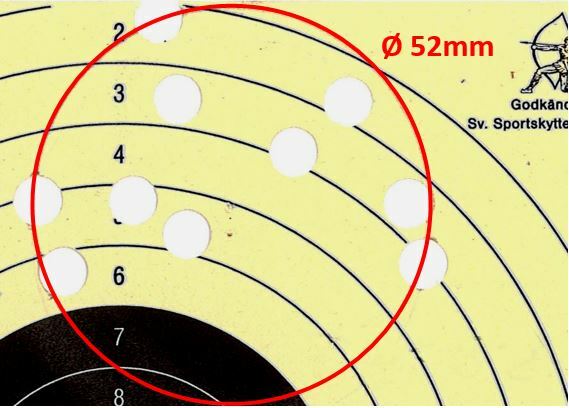 Several tests have been conducted with the 6.5x25 CBJ Frangible and the normal hit pattern at 50m range is all hits within a 50mm circle, which is identical to the HET. The picture to the right shows typical hit patterns fired under field conditions (outdoors shooting range and weapon fired from the shoulder) at 100m. The target used has a scoring area that is 500mm in diameter, and 25mm distance between the scoring lines. 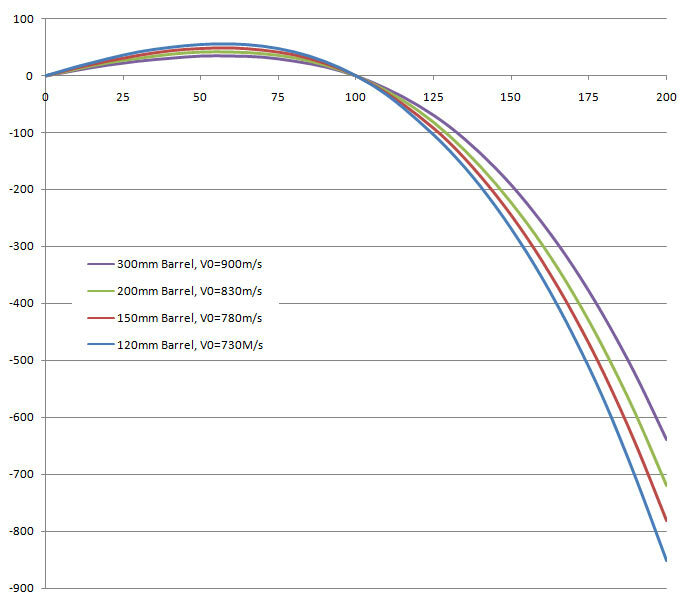 The graph to the right shows the trajectories from different barrel lengths. The X-axis is in m and the Y-axis is in mm. 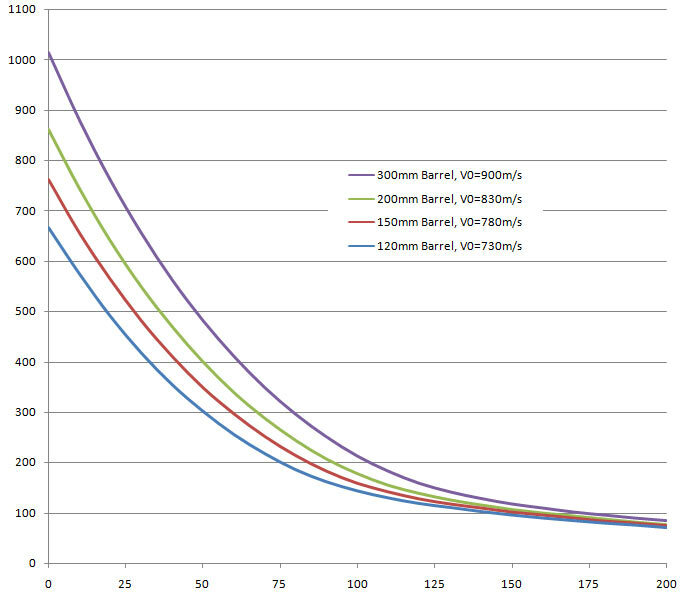 The graph below shows the muzzle velocities from different barrel lengths at different ranges. The X-axis is in m and the Y-axis is in m/s. 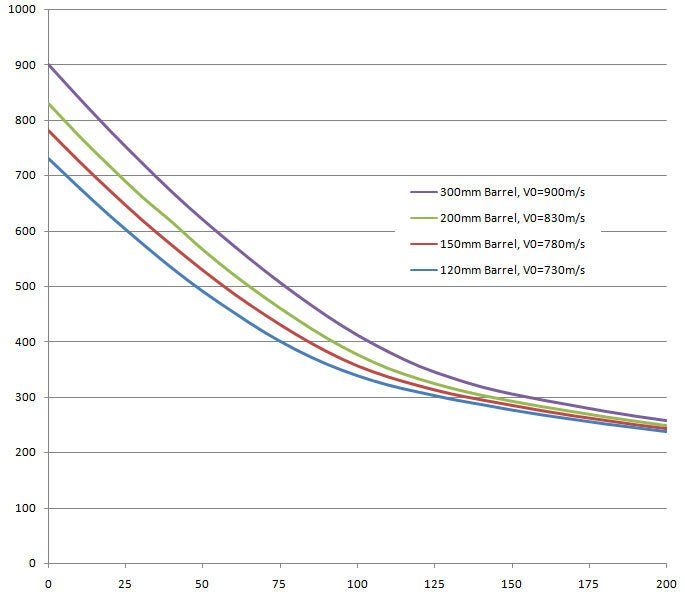 The graph below shows the muzzle energies from different barrel lengths at different ranges. The X-axis is in m and the Y-axis is in Joules.